The rage MEGATRON feels after his defeat by METROPLEX activates the dormant power within his UNICRON armor. This vast energy draws power directly from the Giant Planet itself, feeding it into MEGATRON and changing him into the mighty GALVATRON! 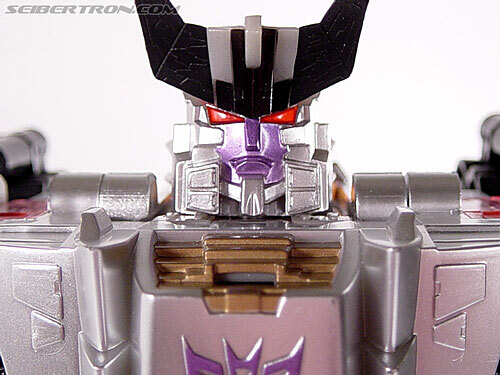 A living engine of destruction, GALVATRON lives only to conquer all and grind the Universe beneath his armored heel. His weapons and intellect super-charged by the living energy of the Giant Planet, there are none powerful enough to stand in his way! 4,851 pages were recently viewed by 762 unique visitors. This page was viewed 1 times on Thursday, April 25th 2019 3:08pm CDT. © 2019 Seibertron, Inc. DBA Seibertron.com. All Rights Reserved. Established June 2000. Seibertron.com is owned by Ryan Yzquierdo.